Follow up on another comic I did before I started the webcomic. Looks like one of the navi followed Kai all the way to his home and wants to help him study somehow. I’ve heard that Fi is worse. 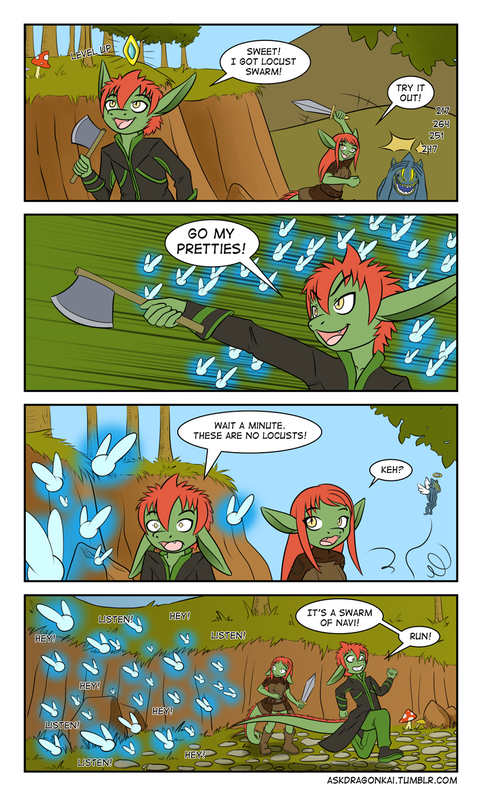 At least Navi acts as your Z-target. Nah. Fi might not do anything mechanically vital, but she’s also less useless and obnoxious. Her advice is generally helpful or interesting, and she usually only provides it on request, or when there’s something you would probably miss without it.